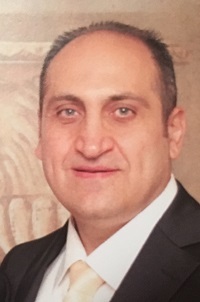 A Fortieth-Day Divine Liturgy will be held on Sunday, February 24, 2019 at 11:00 am at Saint Charbel Parish Ottawa, Maronite Catholic Church, 245 Donald St.
Beloved son of Karim Nakhle and Jacqueline Salem. He will be sorely missed by his partner and the love of his life Maria Ontong. Loving brother of Claude Nakhle (Henry Karnabi), Tony Nakhle, Elie Nakhle (Micheline Antoun), Lina Nakhle (Jean-Nicholas Bustros), Christine Nakhle (Andre Abou Assali) and Charbel Nakhle (Lillian Aboumoussa). Much loved uncle of Tracy, Priscilla, Elio, Georgio, Anabella, Calista, Lamita, Charbel, Emanuel, Estephan, Mathieu, Brielle, Mila and Ella. Passed away on Tuesday, January 8, 2019.